Grizedale offers a great mix of woodlands, farmaland and traditional farmhouses and cottages mixed within small tarns. Quiet lands, forest tracks and public rights of way offer ideal walking presence, along with riding and cycling. 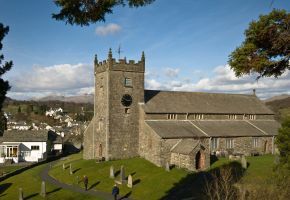 The small town of Grizedale offers a perfect getaway from the hustle and bustle of city life. If you head south, there are plenty of plantations that offer outdoor activities.